Historic Chester Hills Pool, with a separate wading pool, was built in 1957 as a community pool at 2008 S. Balfour. Though our pool is 60 years old, it is still creating precious memories for the friends and families who are members. A life guard is on duty at all times. Memberships are available to families and individuals who live in and around the Chester Hills community. Members can purchase guest passes annually. Each membership includes a one-time initiation fee, along with an annual membership and maintenance fee. The members are responsible for all maintenance, management, and the day-to-day operations of the pool. All members are encouraged to work together, opening and closing the pool each season, during the three scheduled maintenance days. A board of directors oversees and directs all pool operations. 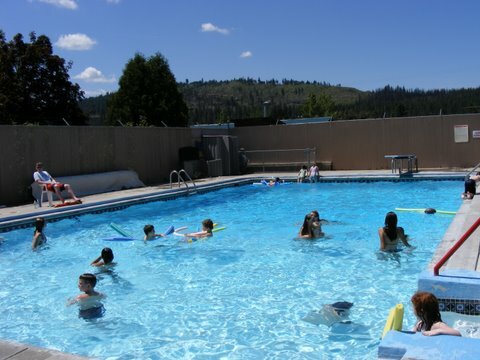 Swim lessons are available to members and non-members.